Peanuts are majorly used as seed oil in different countries in Asia and Africa. They are also known as groundnuts, because they are obtained from the ground. Apart from being processed and used as oil, peanuts are also eaten as snacks in many households across the world. Peanuts are actually legumes, and they are rich in variety of nutrients like folate, niacin, vitamin E, manganese and protein. They are considered a cheaper and healthy substitute for other nuts likes pistachios, almonds, cashew, walnuts, and pine nuts. When it comes to health benefits, peanut is one big superfood. Below are 7 amazing health benefits of peanuts and more reasons why you should start eating them. Peanuts contain high levels of monounsaturated and polyunsaturated fats which helps to keep your heart healthy. They prevent coronary artery disease and stokes by promoting healthy blood lipid profile. 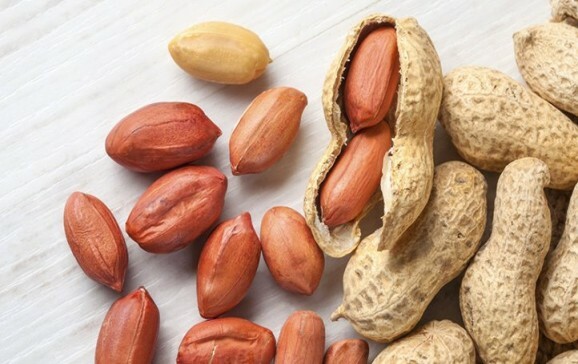 Just like I stated in the introduction about peanuts being rich in manganese, the presence of the nutrient plays an important role in fat and carbohydrate metabolism, calcium absorption and blood sugar regulation. It has the potency of lowering the risk of diabetes by 21%. Various research have proven that consuming an ounce of peanuts or peanut butter can lower your risk of developing gallstones by 25%. You can consult different reports to further ascertain this fact. Peanuts can contribute to weight management by making you full for longer period without eating anything. The combination of fibre, fat and protein in peanuts makes it a high safety food, makes you feel longer and thus lowering your appetite. Peanuts have high concentrations of a form of phytosterol called beta-sitosterol (SIT). This phytosterol in peanuts protects against cancer by inhibiting tumour growth. The high content of dietary fibre found in peanuts helps in flushing out toxins from your system, thus making your skin to look clear and flawless. If you are looking for foods that can give your memory a boost, then you should give peanuts a try. The vitamin B3 and Niacin content found in peanuts helps in improving your brain functioning and boosts memory. These are 7 health benefits of peanuts and more reason you should be munching the healthy snack. Hit the share buttons below to get this message across to your friends and loved ones on various social media.